Chad Smith performing with the Red Hot Chili Peppers at Joe Louis Arena earlier this year. 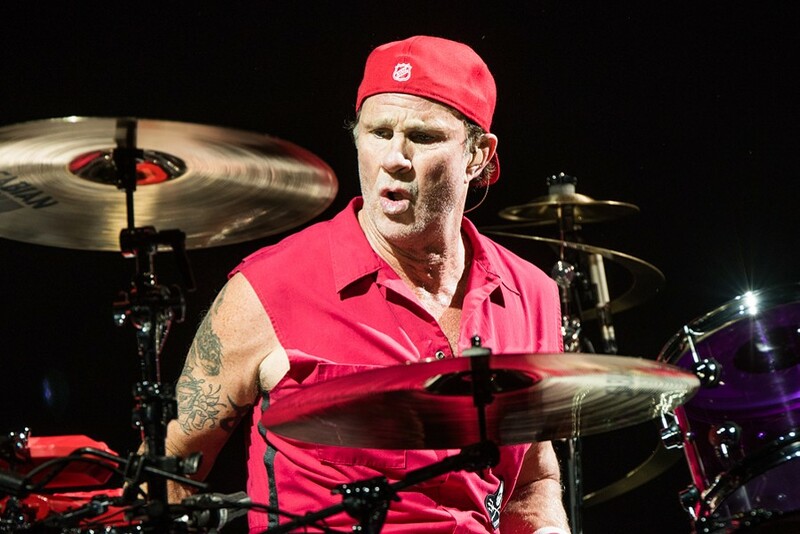 Chad Smith, aka Will Ferrell's doppelgänger and drummer for Red Hot Chili Peppers, pissed off a lot of fans at a concert Sunday evening at Ohio State's Schottenstein Center in Columbus. Smith, who is a metro Detroit native and a huge fan of the Wolverines, took the opportunity at the concert to show is undying love for the college. Smith took to the microphone and gave a rousing rendition of the University of Michigan's fight song "The Victors." Smith treated the audience with the fight song at the end of the show, and it of course was met with a ton of boos from the crowd. Instagram photos from the show on Sunday night also reveal that Smith had the giant "M" on his bass drum for Red Hot Chili Pepper fans to see. Chad Smith's level of petty has risen 20 points in our book and we l-o-v-e it.